“Ah, dear friend, when something happens in life, do you ever think of the moment that caused it, the seed from which it grew? How can I explain it…? Imagine a field being sowed and all the promise that’s contained in a grain of wheat, all the future harvests… Well, it’s exactly the same in life”. I don’t know why exactly, but these words brought to mind two very sad events of the recent past. They were events, each of which had the character of both fruit and of the seeds of fruit which in their turn produce more fruit – and more seeds. One event was bitter-sweet, the other filled with a bitterness devoid of any sweetness. The words themselves come from one of the novels of Iréne Némirovsky, Fire in the Blood, which like all her novels, are pathos-laden explorations of human nature and flesh and blood human beings, each revealing the follies, weakness, and wisdom of our kind – wisdom sometimes induced by our follies and our weakness. The recent events brought to mind were the sad stories of two people afflicted with terminal illness – the one being young Brittany Maynard on the West Coast of America, the other, even younger, being 17-year-old Donal Walsh who lived in Co. Kerry, on the West Coast of Ireland. They both died but did so in starkly different ways. Their respective deaths were the fruit of seeds sown and being sown in our culture, seeds whose fruits determine our vision of the very purpose and meaning of life itself. Young Donal Walsh’s story is now known by everyone across the land in which he lived. Afflicted with cancer as a child he fought a successful battle with it for years. Eventually, however, the prognosis emerged that his condition was terminal. This happened at a time when Ireland in general, and Donal’s home place in particular, seemed to be inflicted with an epidemic of suicide, and more shockingly suicide among young people in their teens and early twenties. Donal was shocked and dismayed by this. Here he was, in love with life but asked by God – and this is the way he saw it – to leave this life. He did not want to leave it and he was appalled by those who not only took their own lives but in doing so inflicted pain and suffering on those who loved them. He went public with his thoughts on the local radio station. The story was picked up by a national newspaper and eventually he appeared on prime-time weekend television to put his case for life. There is no way of knowing how many lives he may have saved but there is no question but that his idealism, his love of live and his heroic confrontation of his illness inspired his country and his own generation. Following his death his parents have continued his work. Donal fundraised tirelessly for the hospital where his illness was treated. His family has now had the Donal Walsh #Livelife Foundation set up in order to bring forward his causes of providing age appropriate teenage facilities in hospital and hospice centres as well as promoting his anti-suicide message. Donal Walsh’s life, his story, is not just a memory. It is a tangible legacy, a seed which gave life and continues to give a harvest of joy, faith and optimism to the young people of his country and to the world. How different the sad a bitter emptiness of poor Brittany Maynard’s story. The bleak pagan ideology which infected her spirit has reaped – and will continue to reap – a devastating legacy, the legacy of the culture of death. Where did this great evil come from? How did this great evil once again, after two thousand years, gain the foothold it held in the ancient world. It was not her illness which took Bettany Maynard’s life from her. Her apparently voluntary act was the bitter fruit of the corrupting seed which now lives within our body politic and which will continue to snuff out many more lives, of the young and not so young, until the spirit of Donal Walsh vanquishes it. Twenty-nine year-old Brittany, ended her life on 1 November 2014 in Oregon. Having been told in April that she had less than six months to live, Maynard and her husband relocated to Oregon, one of three US states that allows assisted suicide. 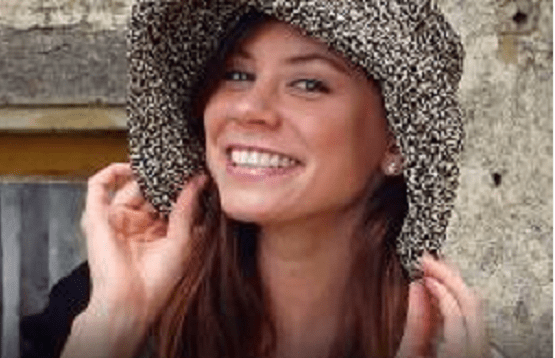 The false reasoning of the demons which led Brittany Maynard to her death are well documented but not so well understood. A potent seed indeed, widely sown, and with inevitable and dreadful consequences. Why, Yuill asks, was her action regrettable? Because it is based on an unreal understanding of death. As Kevin Fitzpatrick,of Not Dead Yet, – who spoke movingly earlier this year at Ireland’s Pro Life Campaign’s annual conference in Dublin, – an organisation of disabled people opposed to legalising assisted suicide, noted perceptively, death is the end of all the possibilities of life. To be dead is more disabling than any injury or disease. Fitzpatrick remarks that ‘[w]e have lost our sense of “terrible beauty”’, whereby even in the depths of suffering and horror ‘there can still be something there for us to find profound, even beautiful’. Suicide is disturbing because it cuts short the possibility for human interaction, for participation in one another’s lives. There is no doubt but that a great battle is raging out there for the minds and hearts of all the members of our race, the human race. It is the battle between those who aspire to the spirit of noble heroes like Donal Walsh and those who would lure wounded human beings to the false, pernicious and inhuman vision by which Brittany Maynard was betrayed. “Ah, dear friend, when something happens in life, do you ever think of the moment that caused it, the seed from which it grew?” By thinking clearly about the seeds which are sown among us we can sometimes distinguish the good from the bad and then act courageously in consequence. Great article. Saw it on Life News.